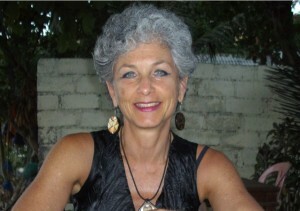 We recently interviewed Australia Counselling member Vivian Baruch of www.vivianbaruch.com about her approach to counselling and psychotherapy. Vivian has a passion for helping people create successful and rewarding love relationships and has been doing so for over 30 years. I’m a relationship coach, counsellor and therapist working with individuals & couples since 1981. I practice in Newtown, close to the Sydney CBD & Faulconbridge, close to Springwood NSW. I’m also a CAPA and PACFA certified supervisor and have been supervising professionals for over a decade. I’ve had a passion for understanding what makes human relationships enriching and fulfilling since I was a teenager. As our lives revolve around relationships with others, whether at home, at work or with friends, I’ve been involved in a life-long process of learning to help myself and others do the hard work that it takes to bring about successful and rewarding love and work relationships. My client’s assessment about how our work is impacting their lives. My client’s relationship with me. I always ask for them to guide me in my work with them & to give me feedback on whether they feel heard and understood by me, whether I focused on what they wanted to discuss with me and whether my approach in that session worked for them. I ask them to rate me in every session using a research-based tool. My work is a combination of my training over the last 30 years coupled with my life experience of living and working in different cultures and sub-cultures. As a 60 year old, my aim is to be flexible in my work so I adapt to my clients to help them clarify how best to use our sessions. I believe they are the experts in their lives and are coming to me for a different type of conversational experience, a more empowering one, than they usually have with their partners, family and friends. This is my aim in every session, not just the initial one. I’ve been a practitioner of yoga and meditation since the late 1970’s so mindfulness is a key focus in both my personal and professional life. Since 2004 I’ve also incorporated regular strength training into my self-care programme, which has involved both a challenges and triumphs in building my physical, emotional and psychological strength. I believe this helps me model the changes I’m encouraging my clients to make. Gardening is a newly-found passion and I love seeing the transformation in my surroundings as I look out over my Blue Mountains native garden. If you would like to book an appointment with Vivian, you can visit her Australia Counselling profile or visit her website.